Our new app just arrived. It's awesome! We've been working very hard to build a great app to help you better connect with your customers. Finally, it's ready. Connect. DSI is the premier supplier of full-featured, business management software specifically designed for suppliers to the commercial vehicle industry. In over 30+ years of business, we have honed our software to meet the ever-changing needs of our customers, OEs, and manufacturers. We’re pleased to announce our next innovation and introduce Connect, our new customer portal. DSI-ConnectTM seamlessly integrates with your existing business management system and allows your customers to search & order parts, schedule service, update vehicle information, view & print past invoices and service histories, as well as see outstanding invoices due. Connect gives your customers access to information 24/7 and enables them to serve themselves, from any device, world-wide. Connect is simple to use from any web enabled device. Now your customers can service themselves any time they choose. Connect looks beautiful on desktops, laptops, tablets, and smart phones. 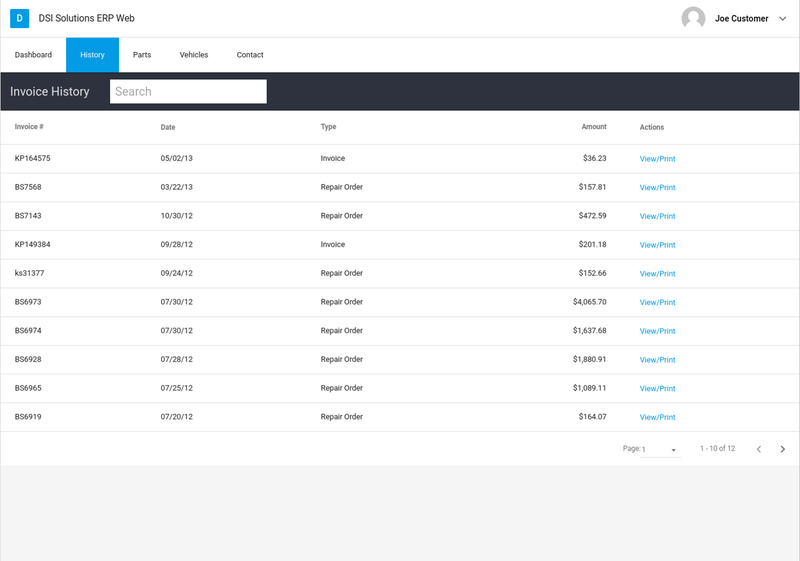 Connect allows customers to easily search for parts by part number, cross reference, and aliases you define. 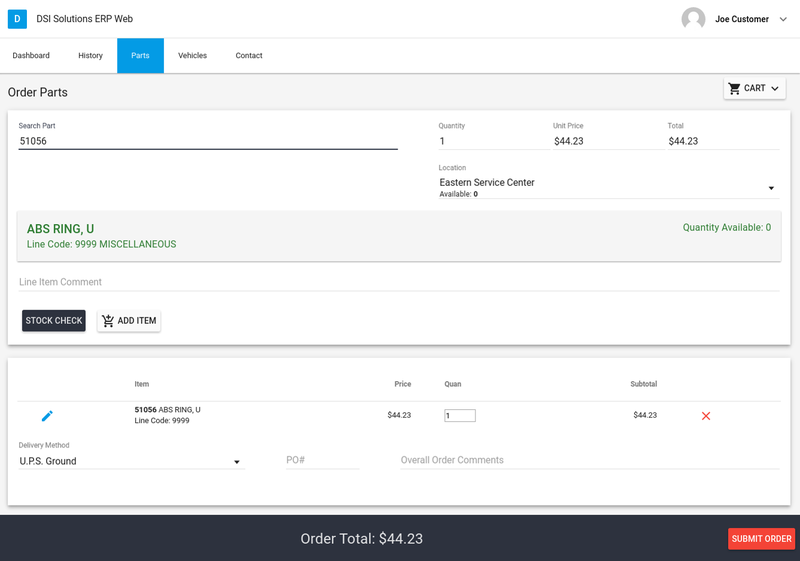 Connect also supports volume based pricing, allows customers to save their "shopping cart" for recurring orders, and provides branch-level part location & availability. 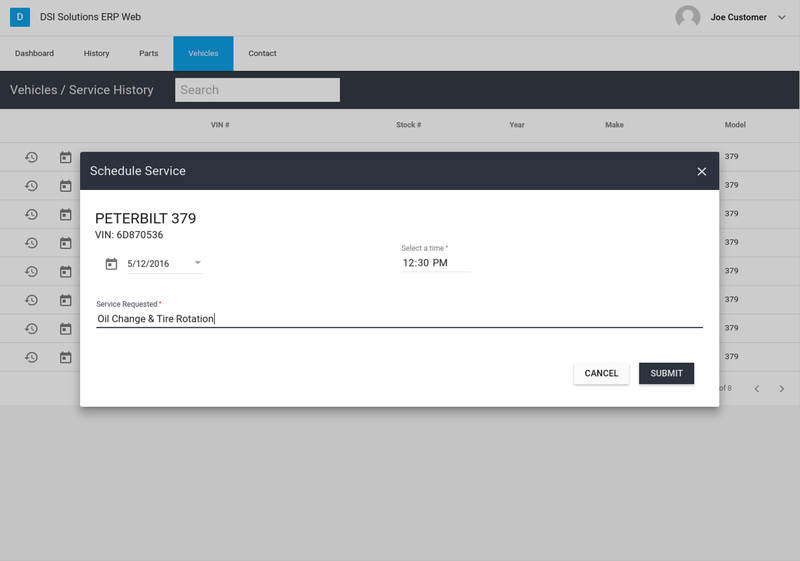 Connect allows your customers to schedule service, view vehicle service history for their fleet, and update mileage to enhance maintenance reminders. 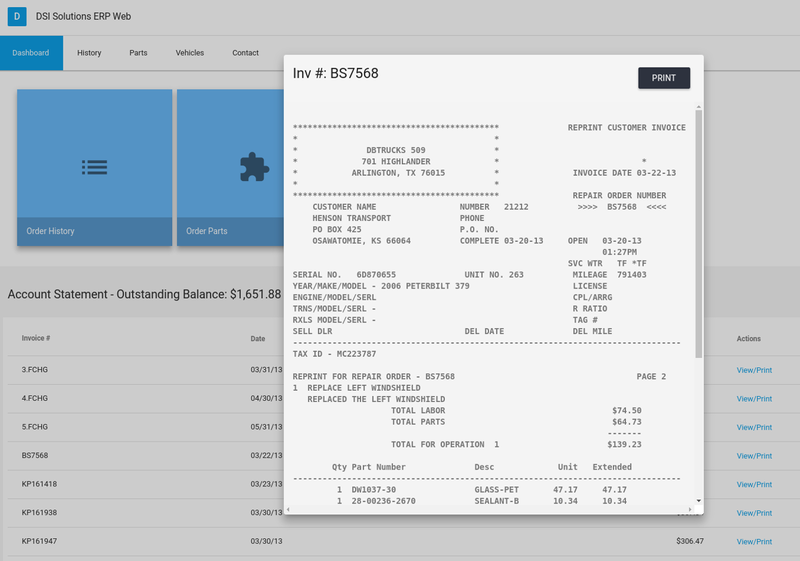 Connect allows your customers to easily search for past invoices & vehicle service histories, then view and print them wherever they are. 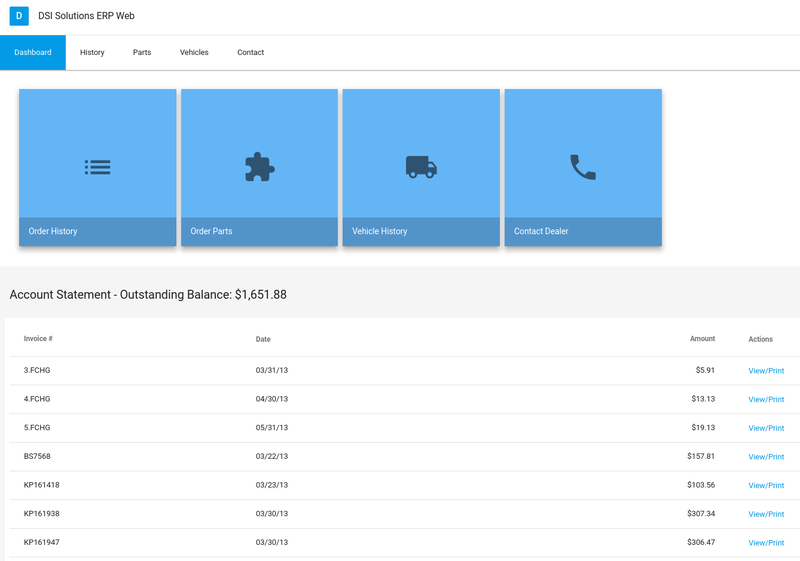 Customers are also presented with outstanding balances due on their login dashboard, aiding collection of receivables. Connect will free up your customer service department to handle more pressing issues.